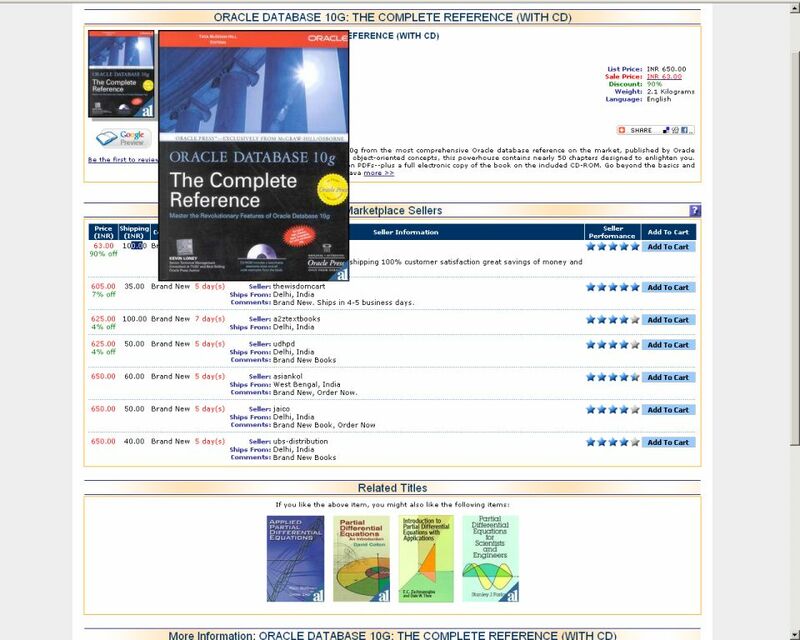 I was going through this website and found this interesting offer on Oracle Database 10g: Complete Reference. This wonderful book is sold for INR 63 (+100 for handling and postage), and in total INR 163 with companion CD. It still worked out to a good deal. Until I found the related titles, which the site suggested, “If you like the above item, you might also like the following items:” and listed down books from Partial Differential Equations (PDE). Now, please don’t get angry. Either there has to be hidden connection between Oracle and PDE or the site some how read my mind. You can also try and it might still show up to you. Even I would like to know where there is any relation between Oracle Database and Partial Differential Equations. WIDTH_BUCKET function is used to assign bucket value for a list of values based on maximum and minimum number. This is one of the new analytic function introduced in Oracle 10g. Consider the following table.